We're just hours away from the Nokia Lumia 1020's unveiling but some trigger-fingered person in charge of AT&T's YouTube channel just hit the switch early and posted an advert for the phone. 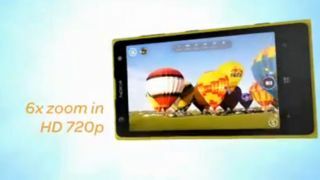 Of course, the advert's all about the photo features - the 41-megapixel camera, 6x zoom and 720p. See it all for yourself below. There aren't many more details given beyond that but a full leak of the phone's spec sheet has seemingly filled in the gaps. Nokia might as well call the whole event off. Go read more of our blips. Go go go!